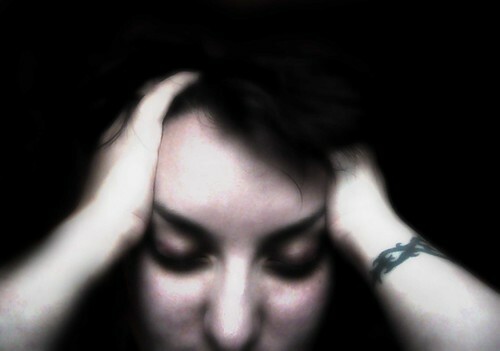 Do you ever suffer from headaches brought on by stress? You’re not alone. Studies show that 45 million Americans suffer from headaches. That is almost 1/6 of the population. And while not all of them are stress induced, we’ve all had that bad day that ends up triggering the even worse headache. The good news is that if you are a headache sufferer there may be a simple solution. Because many headaches are caused by stress, tension, or other mechanical dysfunctions of the upper neck, exercise can help. Limitations in upper neck and jaw movement, poor posture, and increased muscle tension can all produce headache symptoms. Given that so many of us spend our days looking into computer screens, a simple set of exercises and an improved sense of posture and movement may be your answer to more headache free days. 1) Adjust your computer monitor so that you have to look slightly down at it ( top of monitor at your brow). Prolonged sitting at a computer can increase the tension in the upper neck. 2) Adjust your seat in the car to be more upright. Car seats promote poor posture. Prolonged driving with poor posture can contribute to headaches. 3) Be aware of your chin position, and try to hold it 1/4″ lower than you normally do. Most people stand and sit with there chin held high. This can cause increased pressure at the base of your skull. 4) Use your knuckles to apply pressure to the muscles just below your skull. Apply pressure in these areas as tolerated holding for 8-10 seconds. This can help decrease muscle tension. 5) Avoid sleeping on your stomach. Sleeping on your stomach can strain the upper neck which can trigger headaches. 6) Take time to lie in a dark quiet room and focus on your breathing. Lie quietly for 5 -10 minutes trying to relax the muscles of your neck. This will provide you with much needed down time to reduce muscular tension in the area. Lie on your back with head supported by the table. Without lifting head off the supporting surface gently bring chin towards the chest. Slightly press your head into the table. Hold for 5 to 10 seconds. Repeat 3-4 times to relieve symptoms. Sit tall. Draw your head back so that your ears line up with your shoulders. Hold for 10 seconds. Repeat 2-3 times to relieve headache symptoms. While these techniques can be helpful, headaches can be a sign of a more serious condition. If you do suffer frequent headaches, consider talking to your physician or physical therapist for a complete evaluation. It is vital that you identify the source of your headaches to find a successful treatment approach. For more information regarding treatments for headaches, please contact our office or just leave us a comment on this post. And if you’re getting more tips like these, just follow Baudry Therapy on Twitter or Like Baudry Therapy on Facebook.